Hewlett-Packard agreed to pay $108 million to resolve wide-ranging U.S. government investigations into whether some of its foreign units bribed government officials to obtain lucrative contracts, U.S. officials said on Wednesday. HP’s Russia subsidiary pleaded guilty to paying millions of dollars in bribes – some in the form of expensive watches and swimming pool technology – to win business with the federal prosecutor’s office in Russia, the U.S. Justice Department said. Polish and Mexican units of the computing giant also resolved U.S. criminal charges related to contracts they had won in those countries, and Polish prosecutors charged a local HP executive with paying related bribes. The Securities and Exchange Commission entered into a related settlement with HP over allegations that its subsidiaries made improper payments to government officials. Both U.S. agencies charged the company or its units with violating the Foreign Corrupt Practices Act, a 1970s law that bars U.S. linked firms from paying bribes to officials of foreign governments. 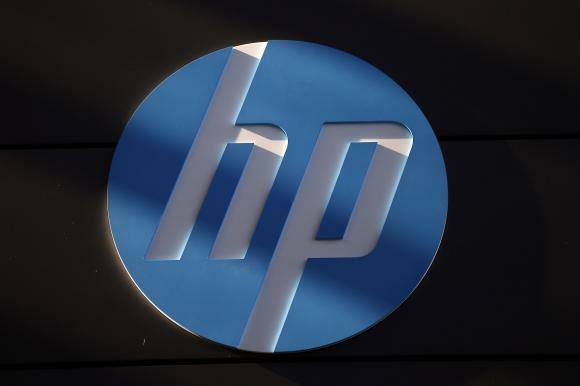 “Hewlett-Packard subsidiaries created a slush fund for bribe payments … employed two sets of books to track bribe recipients, and used anonymous email accounts and prepaid mobile telephones to arrange covert meetings to hand over bags of cash,” Deputy Assistant Attorney General Bruce Swartz said in announcing the settlement. In a statement, HP executive vice president and general counsel John Schultz said HP fully cooperated with the investigation. “The misconduct described in the settlement was limited to a small number of people who are no longer employed by the company,” Schultz said. The allegations date back to 1999, when the Russian government announced a $100 million project to automate the computer and telecom systems of its Office of the Prosecutor General. To secure the first phase of that contract, HP created an elaborate deal to buy back its own products at inflated prices in order to create a secret slush fund, prosecutors said. The funds were used on everything from travel, cars and jewelry to furniture and household appliances, prosecutors said. More recently, between 2006 and 2010, prosecutors said HP paid more than $600,000 in bags of cash and HP products as bribes in Poland. HP provided those incentives to an official at the Polish National Police agency to win technology contracts with it, the U.S. government said. An HP Poland executive used an anonymous email account and a pre-paid mobile phone to evade detection, it said. Polish officials also took action against the HP executive, and said on Wednesday dozens of people had been charged there as part of an industry-wide investigation of corruption dating from 2007 to 2009. The Appellate Prosecutors’ office named the former government official as Andrzej M., and the former HP executive as Tomasz Z., without giving their full last names in accordance with the Polish law. Reuters was not immediately able to reach either of the two, or their legal representatives. Zbigniew Jaskolski, a spokesman for the Appellate Prosecutors’ office in Warsaw, which handles major cases, said the official gave favorable treatment for firms, including HP, which were bidding for IT contracts with the police headquarters that were worth a total of $39.71 million. Both the former executive and the former official have been charged with offenses which carry prison sentences of between two and 12 years, Jaskolski said. HP’s U.S. settlement also resolved charges of misconduct at its Mexico unit from 2008-2009. HP Mexico paid a $1.41 million “commission” to seal a software deal with Mexico’s state-owned petroleum company, Pemex, prosecutors said. A representative for Pemex could not immediately be reached for comment. As part of the probe resolutions, HP agreed to improve its internal controls and report on those improvements to the Justice Department. It also agreed to make sure that its senior management provide “strong, explicit, and visible support” to the company’s anti-corruption policies, according to the terms of the deal. The Justice Department said it acknowledged “extensive anti-corruption remedial efforts” the company undertook, including disciplining culpable employees.